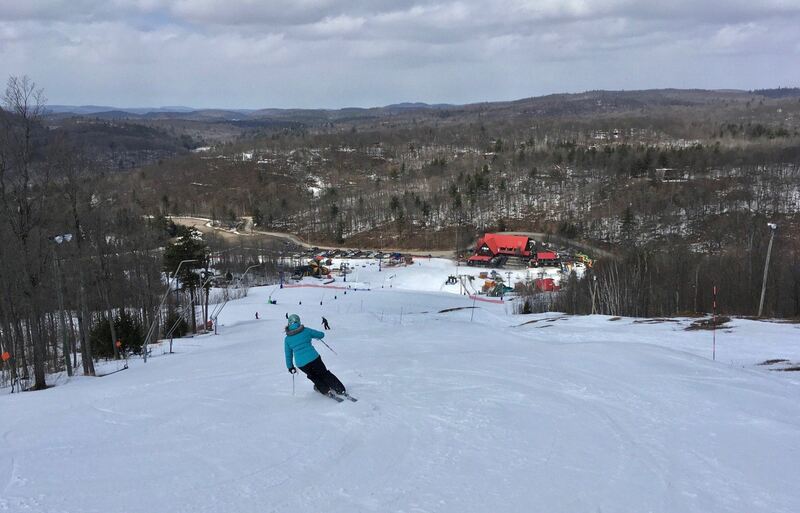 Another perfect day for spring skiing, today at Mont Cascades. The weather was once again cool but without the strong winds from yesterday. I arrived ready to hit the slopes at 11am and already the snow had begun to soften. Nearly all trails were open with a few exceptions (Gratton and two of the cross-over trails between the East Quad and the main side). 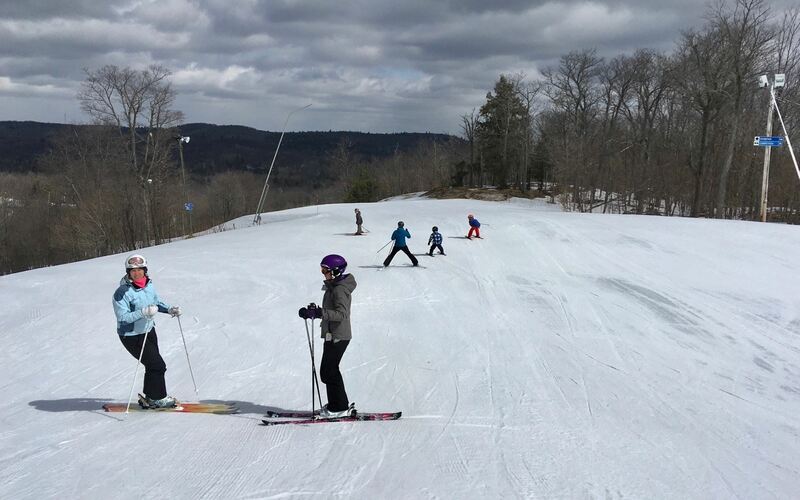 It honestly felt more like skiing in the winter than the spring. Standout trails this visit were Hogan (which I chose to enjoy over and over), as well as Alouette and Interlude. 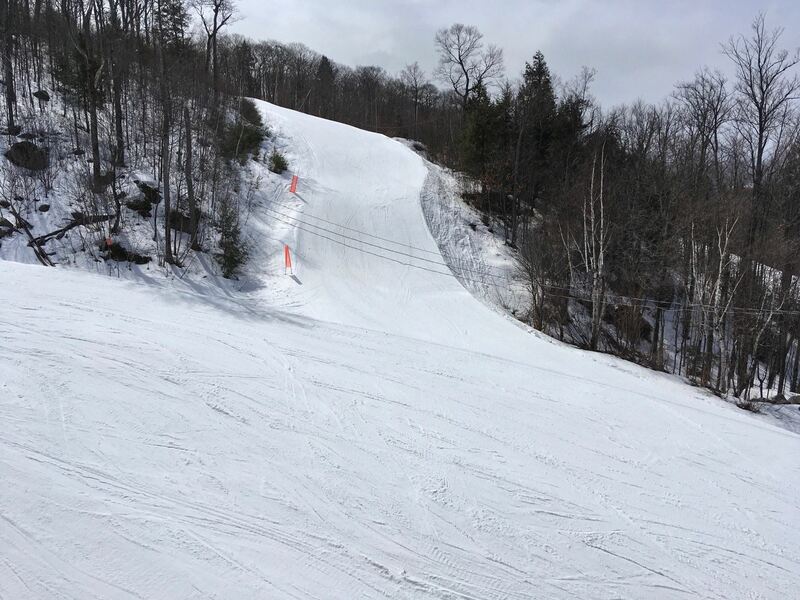 With no lines at the lifts, it was refreshing to run lap after lap, enjoying the fantastic snow. After lunch, there was actually a few snow flurries that were falling, a little sign that one last snow storm may still be on the way, let's hope it won't be too late. 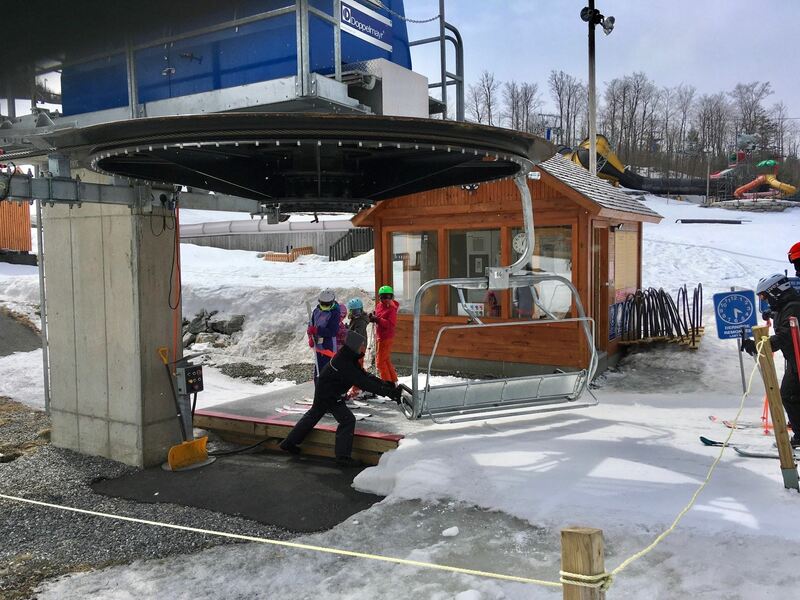 Mont Cascades has seen several improvements over the past years, including the new East Quad and the longest magic carpet in the region. The maintenance and care put into the facilities and infrastructure is very commendable as everything is in excellent condition. The chalet at Mont Cascades is perhaps one of the most inviting in the region, due to its look, style and views afforded from the windows. 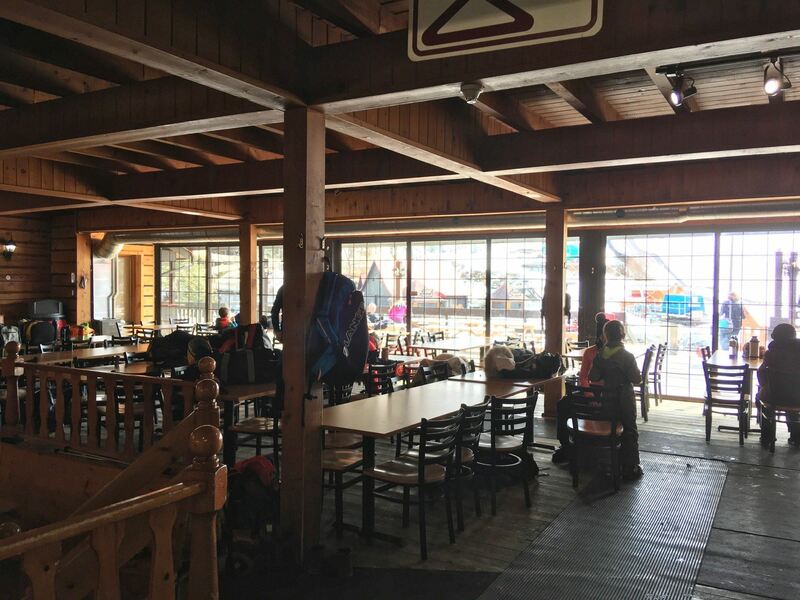 I was happy to see that the picnic-style tables in the chalet, which to me are a little too common in the Quebec ski industry, have been replaced with conventional tables and seats, a detail that does not go unnoticed and no doubt will be very appreciated by all. Overall, a perfect day out on the slopes. Sadly... the coming 20-30mm of rain over the next two days will no doubt do some damage to the snow, and so it remains to be seen if Mont Cascades will be able to continue the ski season next weekend or if the last chair was today. 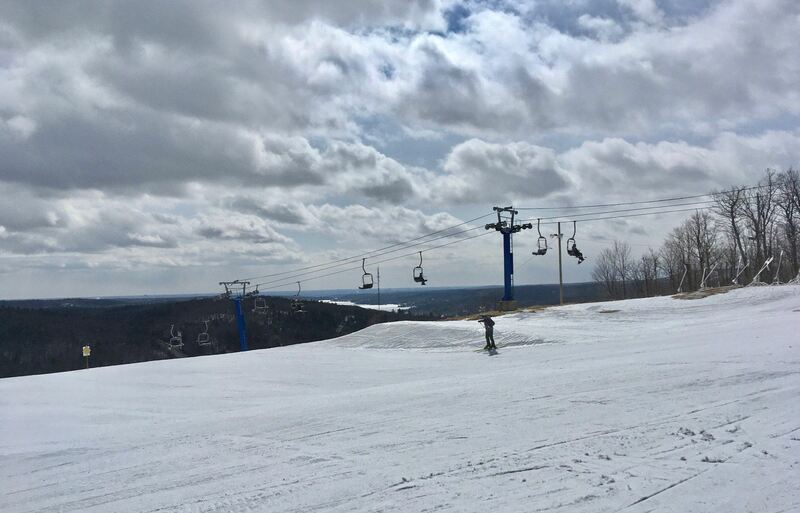 If today was the end, then the season went out with a bang, you couldn't have asked for a better day spring skiing on the slopes. 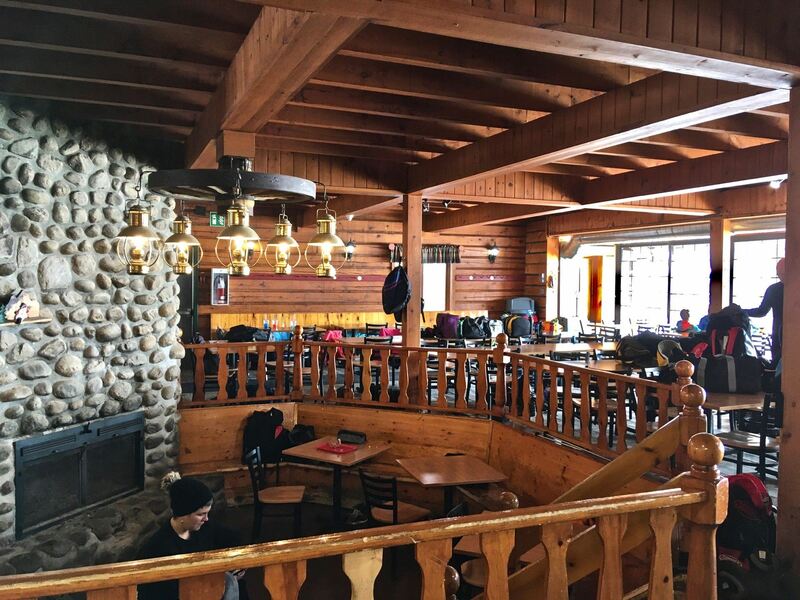 The inviting chalet, the warm atmosphere and ambiance and the excellent line up of trails and terrain always win out at Mont Cascades. Well done! The new Viking magic carpet. Top of Alouette and Interlude. 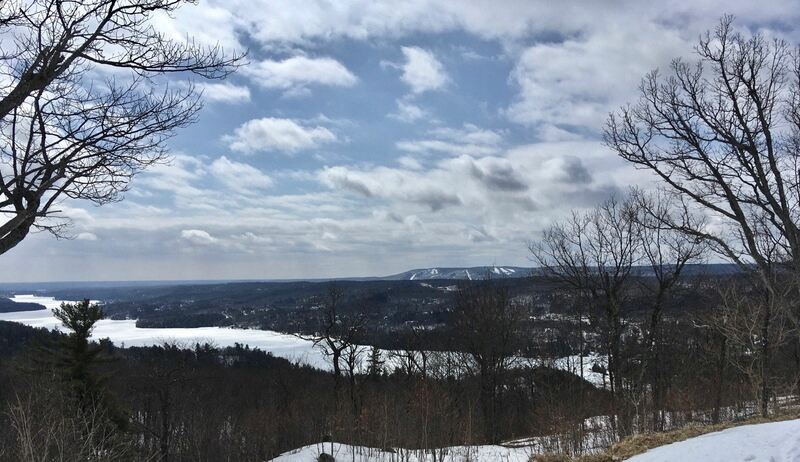 Views of the Gatineau river. Made it up to Mont Ste Marie for one last spring rip. The hour drive north from Ottawa was an easy one, though many fields were full of deer. 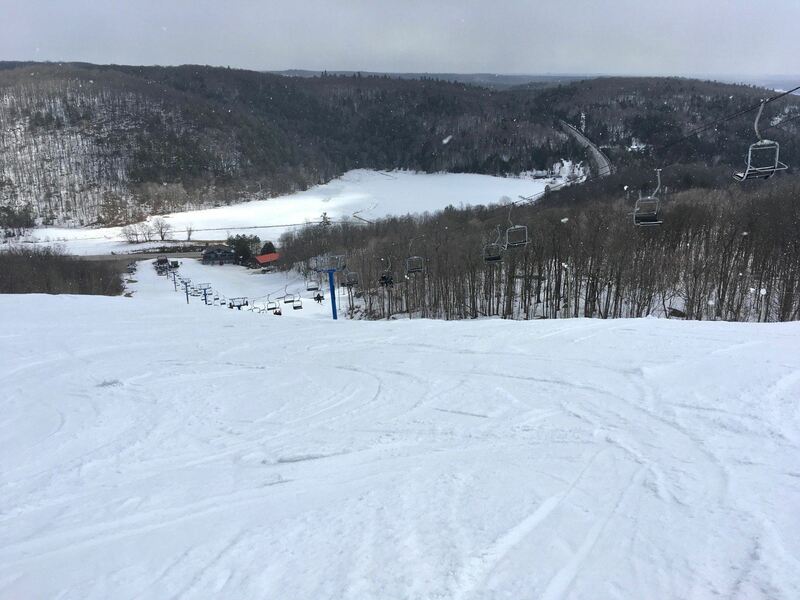 The coverage on the two mountains is still impressive with all of the 20 groomed trails still open. Even the off-piste runs had good coverage but they were mostly closed. The snow was just to sticky in the glades. The groomed trails ripped though. 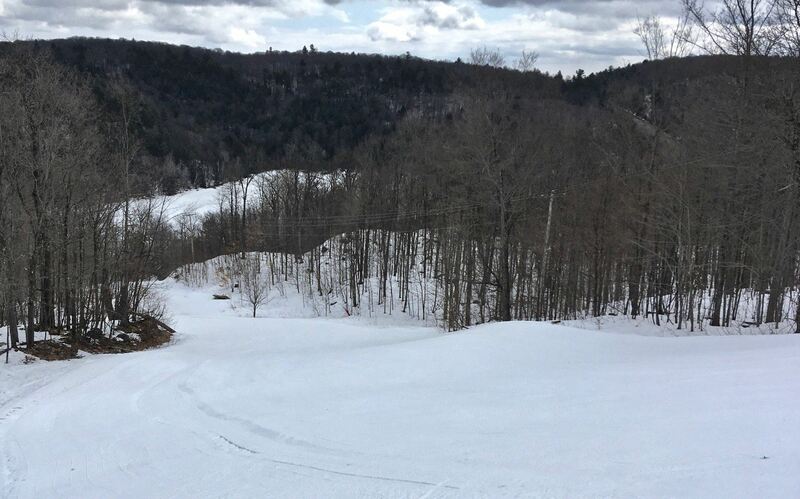 The snow was soft and fast in the morning then became your typical spring skiing conditions in the afternoon. I missed the sun of Saturday but with no wind and temperatures just over zero I couldn't complain. Dustin Cook and Formidable were the best bets on the Cheval Blanc side. On Vanier Serenade and Tornade were great cruisers. We ducked into the glades on Carroussel but the snow was so sticky that you had to hop turn to get through the trees, not recommended. Had lunch at the bar where the food and service is always excellent. Ripped down Cheval for a few more hours in the afternoon till we'd had our fill. What a great season. 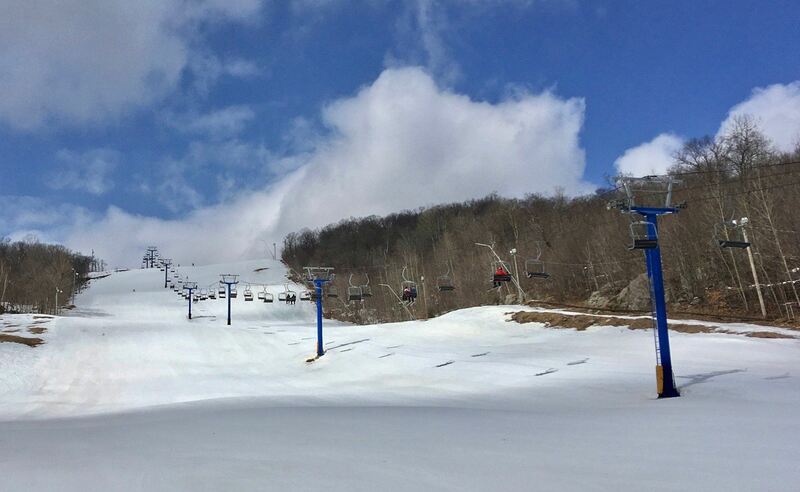 MSM plans to be open April 12-14th and maybe even Easter weekend. Looks like snow is on tap for Tuesday!